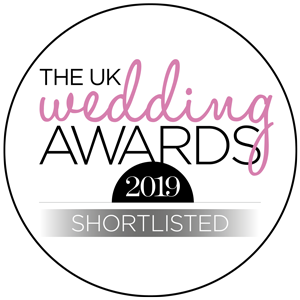 We’ve been shortlisted as a finalist in the UK Wedding Awards 2019 in the Best Bridal Party Attire category – why not visit us and see why ! You can vote by clicking the logo. Welcome to Wedding Pearls- a specialist mother of the bride and groom boutique based in Worcestershire , West Midlands. Wedding Pearls was started in 2012 after the owner, Kirsten , was made redundant from her corporate accountancy job . Always having a passion for fashion , she set up the business to help mums find the perfect outfit or dress for their son or daughter’s wedding. We now have a huge selection of around 400 designer outfits in sizes 8-28+ and we probably have one of the largest plus size selections of Mother of the Bride & Groom outfits, dresses and trouser suits in the Midlands. Our philosophy is simple – something that is just OK is not not good enough! We want you to walk out of our shop looking and feeling amazing. We’re not at all snooty or pushy – we put you first not the sale. Whether you are a young mum or grandmother of the bride , we’ve got something to suit your style. If you need a floaty outfit for a summer wedding abroad, dress and coat for a winter wedding or a classy trouser suit , we’ve got it covered. You can even have a custom made to measure dress, outfit or trouser suit from one of our suppliers, Penguin Designs.Penguin specialise in lace with designs similar in style to Ann Balon and can be made up to a UK size 40. We are a Midlands stockist for brands such as Sonia Pena & Sonia Pena Couture , Dress Code By Veromia, Dressed Up Plus Size by Veromia, Lizabella , Mascara , L’atelier,Personal Choice and Penguin Lace (similar to Ann Balon). New for 2019 is Lexus International – a fantastic collection for the younger mum.Coming into store in sizes 12-26. Our outfits and dresses are also perfect for Ladies Day at the Races. If you’ve already got your outfit and are looking for accessories ,we also have a fantastic selection of matching hats, bags and shoes to complement your outfit or dress. Hatinators can also be hired. We even have some beautiful pearl and crystal jewellery sets to finish the look – we are complete one stop shop for mother of the bride or groom outfits .No need to go anywhere else! Due to the fact that we order at least 6 months in advance , if we sell out of a size in a particular style , we cannot reorder more sizes in. Outfits and accessories can only be purchased instore.We are not able to post outfits due to the volume of returns we have received. Our outfits have European sizing and therefore do not fit in the same way as high street clothing – this may therefore mean that your wedding outfit may well require minor alterations for a perfect fit. We do work with local seamstresses who are used to altering our outfits. Please be aware that we only have a very small selection of our 400+ outfits on the website as our stock is continually changing and our website may only display one size whereas we are likely to have other sizes of that style in store(new 2019 stock only). Lizabella most 2019 styles available in sizes 8-20.Sonia Pena most 2019 styles available sizes 12-24.Lexus most styles available sizes 12-22.Veromia plus size most styles available sizes 16-28. Custom made outfits and trouser suits sizes 8-40. Come and see us – you won’t be disappointed ! L’atelier pastel pink ruched dress and jacket size14.